As the warm days of spring start to become a common feature in your area, and summer draws closer every day, chances are you've started to think about getting yourself in shape for the season. With several months of pool parties, beach vacations, camping trips and seasonal sports just around the corner, you want to make sure your body can handle the physical demands of spring and summer while looking great too. However, if making regular exercise a part of your weekly routine has been a challenge for you lately, getting your spring training efforts off on the right foot can seem easier said than done. Even if you only took a brief hiatus from working out due to the frigid winter weather outside, refocusing your mind and body may not be as easy at it seems after all those weeks away. So whether you're just looking to fit into your favorite swimsuit in time for summer beach fun, training for seasonal sports leagues in your community or simply want to make health and fitness a new priority, here are some simple tips and tricks for kicking off your spring training routine. One of the main reasons people fall out of a workout regimen is due to inhospitable conditions for exercising outdoors. When the thermometer reads 22 degrees Fahrenheit and you can see the sidewalk is covered with a thick layer of ice, the last thing you likely want to do is subject yourself to the bitter cold and slippery ground. Furthermore, the low levels of sunlight and wintery conditions can even sap your will to make it to the gym or health club before or after work. These winter habits can really set you back in terms of sticking with a weekly workout routine. "Long and cold winters can make people feel like going into hibernation. Cravings for high carbohydrate foods are increased and can cause weight gain. Our desire to spend time indoors is much greater," says health and fitness expert Ariane Hundt, founder of the Brooklyn Bridge Boot Camp. "Lack of sunlight can also deplete our energy and when it's finally time to get back outdoors we may feel sluggish. Added winter pounds and the lack of activity during the winter can make the first active workouts challenging." Starting out small and gradually building up the amount of cardio, weight training and other activities you practice will help you achieve the best body without leaving you too exhausted and frustrated to stick with it, according to the Chicago Tribune. Even doing simple exercises like walking a few extra blocks to work, taking the stairs or going for a stroll during your lunch break can help you adjust to a more active lifestyle. When many people who have been away from the gym approach a new spring training plan, their goals are often more focused on burning calories, trimming fat and building endurance. Working on these areas can make increasing muscle size and strength a more attainable goal down the line. However, finding the time to dedicate to extensive running or cycling sessions can be tough, which is why MSN Fitbie recommends taking a page from the professionals' book and condensing your cardio workout. Instead of spending an hour or two jogging, the source notes that using cardio workout equipment's fat burning zone setting can help you burn more calories in a fraction of the time. This form of high intensity interval training, or HIIT, is what pro ball players use to stay lean and mean without spending all day on the health club machines. For beginners, alternating jogging for 30 seconds and walking for a minute is a great way to start. 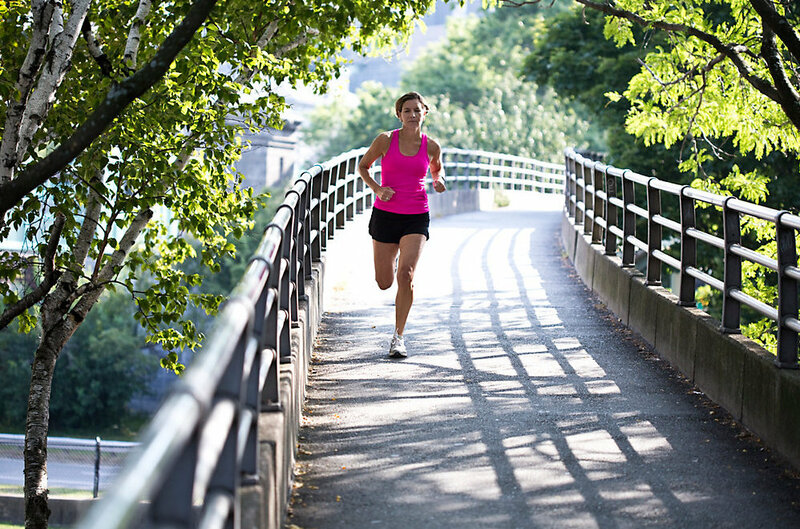 As you become more comfortable, switch to running for 30 seconds and jogging for a minute. Continue increasing the intensity for better results as your spring training plan progresses. "Treadmills are a great way to get a run in and measuring your distance and speed. use it to track progress. Indoor cycles are the perfect cross-training for runners since the opposite muscle groups are worked. Rowing is an excellent upper body workout and can build strong back and shoulder muscles - ideal for people who spend their days at a desk," says Hundt. Building up strength and losing weight through exercise isn't exactly a walk in the park, but you should be enjoying the physical activity you practice if you want to stick with your goals for the long-term. A great way to keep your workouts interesting is to select a variety of activities you find enjoyable and rotate them so you're always doing something new when you're exercising. Additionally, incorporating weight training into your sessions will improve your overall workout, allowing you to burn more calories than cardio alone enables you to do, reports Shape. "Lifting weights should be part of everyone's routine because the more muscle you build, the leaner you get and the higher your metabolism, which is key in weight loss and maintenance. You also prevent muscle loss, which happens with too much cardio. Variety is key, no matter what equipment you choose," notes Hundt. "Plan on doing at least 3 workouts a week. Then, within 2-3 weeks make sure you mix it up by adding something new. If you have been running, then make sure you add strength training to build lean muscle. If you have been lifting weights or only taking sculpting classes, then try adding an indoor cycling class or try an interval workout on the treadmill. The more variety, the more muscle groups you work, the more interesting you keep your workouts, and the better your overall results.You also avoid overuse injuries by varying exercises and using opposite muscle groups."